Fancy a crazy night out? Do you want to feel like a movie star at the back of a stretch limo? Here is the perfect opportunity to do so in Bangkok! 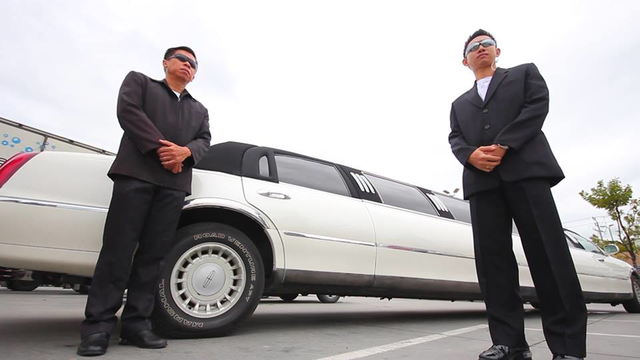 We can provide you the most popular model in world: The Stretch Limousine, combining comfort and pure style but with our own modifications to make it the best party vehicle you could have dreamed of. Bigger and more popular than the black limo, with its luxurious design and fully equipped with the last features available, this white limo is everything a star in the making has ever dreamed of. By renting with Party Vehicles you are guaranteed to be driven safely and in the most luxurious way to the most awesome Bangkok nightlife spots. 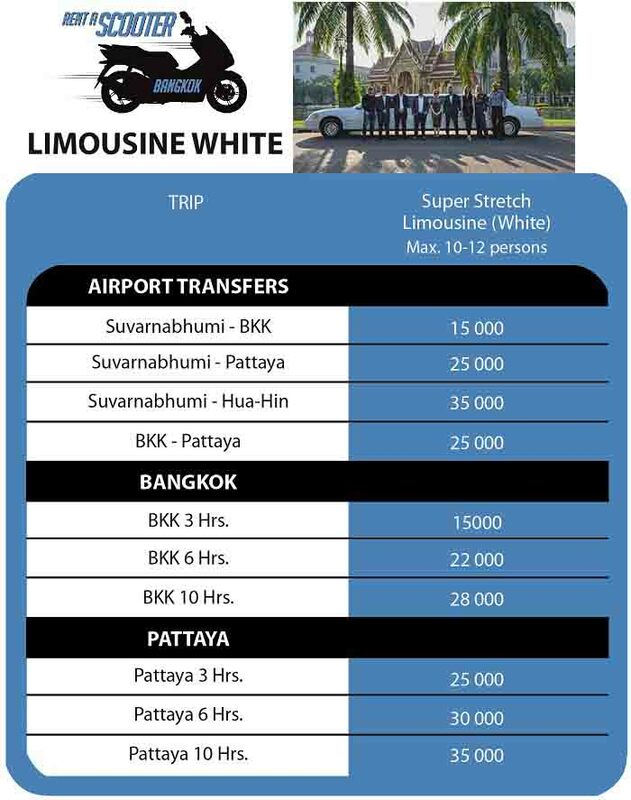 Contact us to find out more about our limo rental prices as well as the variety of additional services we can add on to elevate your Bangkok limousine experience to new levels. Rent a Scooter Bangkok offers scooter rental services in Bangkok (Thailand).Our mission is thus to offer scooters for rent with the best service, at any time and at the cheapest rental price. Our vision is to be a company offering freedom, safety, saving in time and money to people in Bangkok. Our offer is daily, weekly and monthly scooter rentals and we provide helmet and third party insurance. Rent high quality well maintained big bikes in Bangkok.